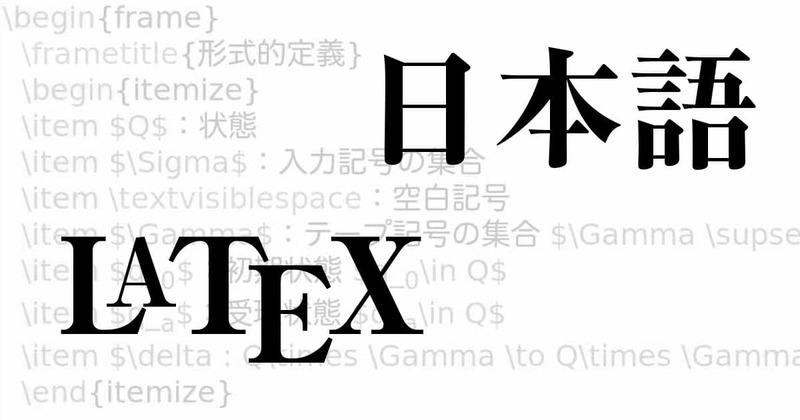 After the bit technical part on characters and encodings, we continue this tutorial on writing Japanese in LaTeX today with a bit more hands-on practice, namely writing simple hello-world-style documents for different engines/packages. Today’s part will also include a bit on how to setup your TeX environment using TeX Live to work with Japanese documents. Upstream TeX Live installation – the full installation procedure is described in the TeX Live documentation, chapter 3 on Installation. We also provide quick installation notes for Linux and Windows. For MacOS, it is recommended to install MacTeX, which is based on TeX Live. Distribution’s TeX Live – here it strongly depends on the actuality of your distribution. If you are using Debian/jessie or Debian/sid, you are fine, as they contain already TeX Live 2014. Call apt-get install texlive-full and wait ;-). For other distributions (Fedora, RedHat, SuSE) you have to check the current level. Don’t be surprised if not all my examples work as expected when using older TeX installations. W32TeX – there is a version closely related and packages specifically for Windows by Akira KAKUTO, called W32TeX. It provides probably the most complete Japanese TeX setup, but I don’t have personal experience. Other TeX distributions – MikTeX is the other big player in the world of TeX Distributions. But due to the differences in packaging and support scripts, several of my advices will not work, in particular everything related to updmap which is a completely different beast in MikTeX. That said, it is still an excellent distribution for Windows, well integrated. My recommendation is: If your distribution is recent enough to provide a TeX Live 2014 based TeX installation, use that one. Otherwise use TeX Live from TUG, including MacTeX on Mac. The reason is that pTeX expects as default ShiftJIS on Windows, and UTF-8 on all other systems. You can save everything as UTF-8 on Windows, too, but then you have to tell ptex with the command line switch -kanji utf8 that you are using it. On Windows the output will be very similar, only that in the very first line you will not have utf8.euc, but sjis written in the parenthesis after the version number. As you see, what is generated is a DVI file. Now, do NOT try to convert this to PostScript with dvips, it will work in some way, but the resulting PostScript file cannot be displayed. Warning: When converting DVI files generated by ptex, uptex and related, always use dvipdfmx to generate a PDF. If the fonts looks slighly different, don’t wonder for now, I will explain this later on (font embedding and selection). But you should see the Japanese characters, otherwise something went wrong. Now, if you try the same with xeLateX, you will be disappointed, because no Japanese characters will show up. Here we have to do a bit more work. We have to decide which support package to use. I will show example documents with xeCJK and ZXjatype, both available in TeX Live. In both cases you need to redefine the default fonts for Japanese characters, as the default is something that does not work. and the resulting pdf file can already be viewed. We are now switching to pdfLaTeX, based on the pdftex engine, probably the one used the most in a global perspective. Here again, we consider two packages: The CJK package from Werner Lemberg, and the BXcjkjatype package by Takayuki Yato. If you look closely at the output you will see that the font as well as the spacing around the LaTeX is different. Although the input looks a bit complicated, it is an easy way to add very short text of Japanese to a otherwise non-Japanese document. It supports mixture of all kind of encodings and languages within the same input file. which results in a similar output during compile time. Note that the embedded fonts are different in this case. BXcjkjatype use the IPAex fonts as default. Just one warning when using this way: Don’t put any non-ascii characters into the file. and the lualatex run would look similar to the following. Note that on the first run it might take a long time to run lualatex, as a font cache is built up first. Please wait, it will finish. The output depends again on the default font set in your system, but should be similar to the above. We have seen very simple documents that can be run through various TeX engines and package combinations. If you have managed to run all these documents then you can rest assured that even much more complicated documents will work out, and that your TeX environment is perfectly prepared for Japanese typesetting. There are still many details, in particular font support and selection, inclusion of graphics, mixing of languages and non-ASCII text, but we will come to these later on. Hey Norbert, this is Liam, who has translated this series of post into Chinese and posted on my weblog. I’ve been keeping tracking on this series for near two years, however, no update comes. I wonder is there any sequel and when I will be honored to see it. thanks for your work on translating the entries. Indeed, I have planned to write a continuation for quite some time, but got derailed. I try to write something up in the next weeks, after I have returned from my travels.